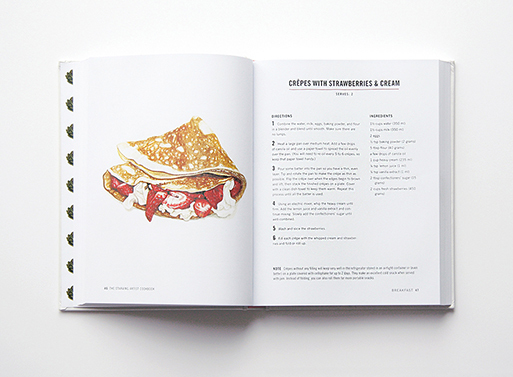 Cool illustrations plus easy-to-make recipes? Sure, that sounds like the perfect thing for simple summer meals, doesn’t it? Artist Sara Zin has dutifully illustrated all her home-cooked meals in this smart collection of recipes that’s suited for any wallet, though starving artists might appreciate it a tiny bit more. French Toast and Crispy Bacon, Simple Carbonara, Oatmeal Cookies… is that your stomach growling or mine? Bookmark it for a recent or future graduate, as it’s the perfect gift for anyone starting out on their own. Check out Zin’s Tumblr for more illustrations and recipes. Available from Barnes and Noble, $16.18.